Traditionally, the development of diabetic complications has been attributed to the biochemical pathways driving hyperglycaemic cell damage, while reparatory mechanisms have been long overlooked. A more comprehensive view of the balance between damage and repair suggests that an impaired regenerative capacity of bone marrow (BM)-derived cells strongly contributes to defective re-endothelisation and neoangiogenesis in diabetes. Although recent technological advances have redefined the biology and function of endothelial progenitor cells (EPCs), interest in BM-derived vasculotropic cells in the setting of diabetes and its complications remains high. Several circulating cell types of haematopoietic and non-haematopoietic origin are affected by diabetes and are potentially involved in the pathobiology of chronic complications. In addition to classical EPCs, these include circulating (pro-)angiogenic cells, polarised monocytes/macrophages (M1 and M2), myeloid calcifying cells and smooth muscle progenitor cells, having disparate roles in vascular biology. In parallel with the study of elusive progenitor cell phenotypes, it has been recognised that diabetes induces a profound remodelling of the BM stem cell niche. The alteration of circulating (progenitor) cells in the BM is now believed to be the link among distant end-organ complications. The field is rapidly evolving and interest is shifting from specific cell populations to the complex network of interactions that orchestrate trafficking of circulating vasculotropic cells. For decades, studies on the pathogenesis of vascular disease in diabetes have focused on pathways that translate hyperglycaemia into endothelial cell damage . Those still considered to be major culprits are well summarised by Brownlee's unifying hypothesis, whereby generation of AGE, overactivity of protein kinase C, and the polyol and hexosamine ways are triggered by respiratory chain overflow and oxidative stress . In contrast, vascular repair processes have been long overlooked. In fact, vascular cell turnover is essential to cope with an ineluctable rate of cell senescence and death even in the absence of diabetes or vascular disease. It can therefore be predicted that defects in the mechanisms of repair can worsen, and hence vascular disease can be accelerated, in patients subjected to vascular noxae. Several lines of evidence indicate that diabetes should indeed be considered a disease of impaired damage control , with defects in the regenerative pathways that normally follow tissue injury. In the vascular system, experimental diabetes has consistently been shown to impair recovery after endothelial denudation  and peripheral ischaemia [5, 6, 7]. Standardisation of these disease models suggests that impaired responses associated with diabetes are attributable to defective repair rather than excess damage. Traditionally, neoangiogenesis after ischaemia and re-endothelisation after endothelial injury were considered to be accomplished through the activation, proliferation and migration of resident endothelial cells. However, following the discovery of endothelial progenitor cells (EPCs), defective re-endothelisation and neoangiogenesis in diabetes have been attributed to circulating EPCs with an impaired regenerative capacity [4, 8], thereby placing circulating cells at the centre of a new pathophysiological model of diabetic vascular disease [9, 10]. Interest around these cells has been further amplified by the possibility of developing cell-based therapies for vascular complications [11, 12]. On the negative side, as discussed below, alterations induced by the diabetic milieu might even redirect circulating (progenitor) cells to harmful pathways that promote, rather than protect against, the progression of chronic complications, such as proliferative retinopathy, nephropathy and vascular calcification. EPCs were originally described in the late 1990s as bone marrow (BM)-derived circulating immature cells involved in the process of vasculogenesis of the adult organism . The first pioneering papers inspired a huge amount of literature over the subsequent 15 years, providing a wide understanding of the identity, function and regulation of EPCs. The prevailing view, supported by a wealth of experimental data, was that EPCs are generated from the haemangioblast ancestor in the BM, from where they can be mobilised upon stimulation by growth factors and chemokines triggered by ischaemia or vascular injury. Once in the bloodstream, EPCs follow chemokine gradients to home in on the target tissues, where they promote endothelial repair by adhering to the subendothelial matrix and forming a patch at sites of endothelial denudation. They also promote angiogenesis by physically integrating into the nascent vascular structures and stimulating vascular growth. Following the identification of these two prominent functions, EPCs began to be considered as an integrated component of the cardiovascular system involved in the maintenance of endothelial integrity and vascular health in general. As a consequence, a reduction in the number of circulating EPCs and dysfunctional circulating EPCs are considered to be significant contributors to the onset and progression of vascular disease in many clinical conditions, including type 1 and type 2 diabetes . Notably, several therapies, ranging from lifestyle changes to common and experimental pharmacological approaches, have been reported to be effective in restoring the number or function of EPCs, including glucose-lowering medications . Over the last 5 years, this amazingly consistent scenario has been challenged by technological advances that have given us a better definition of several aspects of EPC biology and function (Table 1) . First, confocal imaging has been used to analyse assays of peripheral endothelium repair and angiogenesis and revealed that the contribution made by BM-derived cells is smaller than was previously believed, or even negligible [16, 17, 18]. Indeed, most BM-derived progenitor cells that home in to the injured vasculature or ischaemic tissues are localised in the perivascular space and rarely integrate into the endothelial layer. Furthermore, the most commonly used methods for isolating EPCs in culture have been found to generate a mixed population of myeloid cells (monocytes and macrophages) assuming an endothelial-like phenotype by virtue of expression of some, not unequivocal, endothelial markers, such as vascular endothelial growth factor receptor-2 (VEGF-R2), CD31 and von Willebrand factor (vWf). Primary short-term cultures of peripheral blood mononuclear cells (PBMCs) under culture conditions used for endothelial cells are also contaminated by T lymphocytes and do not normally select or expand stem/progenitor cells . These cells have since been assigned alternative names, such as myeloid EPCs, early EPCs, colony-forming units (CFU)-Hill, circulating angiogenic cells (CACs) and pro-angiogenic cells (PACs). While significant heterogeneity still exists among the various protocols, the general consensus is that the term ‘progenitor cells’ should not be used to identify such cells, which are nonetheless able to support angiogenesis and vascular repair by indirect paracrine activities [20, 21]. Although endothelial reprogramming of mononuclear cells occurs to a certain extent in vitro, it is normally incomplete as a result of epigenetic brakes, such as persistent promoter methylation of the gene encoding endothelial nitric oxide synthase (eNOS) . This scenario is further complicated by the finding that the cultures are contaminated by platelet-derived microparticles, which spuriously confer endothelial-like properties (such as CD31/vWf expression and lectin-binding) to the myeloid cells . In summary, cells in so-called EPC cultures resemble endothelial cells but most of them are not progenitors of mature endothelium, either ontologically or genetically . Thus, while the acronym ‘EPC’ is still used mainly for comparison with existing literature, the term ‘progenitor cell’ should be avoided or used with caution. This debate aside, one might even question what an endothelial cell is. If we use a minimalist definition of the endothelium as the internal lining of blood vessels, early/myeloid EPCs have repeatedly been shown to contribute to the restoration of endothelial integrity [8, 25], although this occurs transiently and without full differentiation and integration with the resident endothelium . It has been clarified that the long-term culture of PBMCs on collagen in endothelial medium occasionally yields large colonies of cells that seem almost indistinguishable from proliferating endothelial cell lines upon microscopic and antigenic characterisation. These cells have been termed endothelial colony-forming cells (ECFCs), late EPCs or outgrowing endothelial cells (OECs). They are much rarer than the originally described EPCs, do not originate from the BM  and are likely to be derived from mature circulating endothelial cells (CECs) or vessel-associated progenitor cells [28, 29]. Although ECFCs are much more similar to endothelial cells than early/myeloid EPCs, they nonetheless show distinctive functions, transcriptomic features and clonal expansion capacity compared with proliferating endothelial cells in vitro . As such, in contrast to the EPC concept, the frequency of circulating ECFCs is expected to reflect the ongoing vascular damage rather than the vascular regenerative capacity . Although culture protocols have been optimised for large-scale and efficient cell yields in fetal-bovine-serum-free cell conditions [32, 33], cell cultures are time-consuming and poorly efficient in most laboratories. Thus, quantification of EPCs in clinical trials mainly relies on flow cytometry, even if the antigenic phenotype of circulating EPCs is still debated. While the original phenotype CD34+ kinase insert domain receptor (KDR)+ might still be valid for haematopoietic EPCs, this definition overlaps in part with hematopoietic stem/progenitor cells and circulating endothelial cells. In view of the recently demonstrated endothelial–haematopoietic transition , this overlap should not diminish the interest in these BM-derived cells. Rather, CD34+ cells in the CD45– fraction eventually co-expressing other endothelial markers (e.g. CD31 and CD146), are enriched in proliferating endothelial cells, generate ECFCs in vitro  and are regarded as non-haematopoietic EPCs. Based on this critical re-assessment, BM-derived pro-angiogenic cells now appear to be pathophysiologically linked to the plasticity of monocyte–macrophage lineage cells, and are believed to aid endothelial healing and angiogenesis via indirect cell-supporting activities. While EPCs are the most extensively characterised of the putative circulating progenitor cells, data support the existence of BM-derived cells contributing to the smooth muscle cell population in the peripheral vasculature , although this finding is controversial . Notwithstanding complex and as yet unresolved criticism, it is still believed that alterations in the biology of circulating (progenitor) cells and myeloid cell plasticity play a role in the pathogenesis of diabetic vascular disease. It is also important to emphasise that, beyond ongoing controversies regarding the exact definition and function of such cells, clinical trials have shown some degree of efficacy using BM-derived cells for the treatment of cardiovascular disease (CVD). Meta-analyses of autologous cell therapy trials for acute myocardial infarction [37, 38] and chronic ischaemic heart disease [39, 40] have shown significant short-term improvements in surrogate endpoints (e.g. ejection fraction), with possible improvements in hard endpoints with longer follow-up. Similarly, in the setting of peripheral arterial disease and critical limb ischaemia, autologous BM cell therapy produced improvements in limb perfusion surrogates, pain, functional status and, possibly, wound healing . While it was once believed that injected/infused cells could transdifferentiate into vascular wall cells and/or cardiomyocytes, this is now considered a very rare phenomenon and other indirect mechanisms of action must account for such clinical findings. Studies on cell identity, function and kinetics have the potential to elucidate such mechanisms and help to optimise cell-based or cell-oriented therapies for CVD and diabetic macroangiopathy. Diabetes is one of the clinical conditions in which alterations in EPCs have been studied in greatest detail; several studies have consistently reported that EPCs are reduced in number and are dysfunctional in patients with type 1 or type 2 diabetes . This is thought to impair vascular health in diabetic patients, thus contributing to the onset or progression of micro- or macroangiopathy . The reduction of the circulating CD34+ progenitor cell pool (the ancestor of all EPC phenotypes) occurs at an early stage in the natural history of type 2 diabetes and can be demonstrated in individuals with impaired glucose tolerance . The depletion of progenitor cells persists over time and is worse in patients with advanced complications [43, 44]. Indeed, the levels of CD34+KDR+ EPCs are strongly negatively correlated to the degree of peripheral vascular complications in type 2 diabetes . Consistent with the indirect protective effects of EPCs on the cardiovascular system, depletion of the number of circulating EPCs is associated with an excess incidence of cardiovascular events in different populations , including patients with diabetes and the metabolic syndrome . Early EPCs (CACs or PACs) are reduced in number and display profound dysfunctions in uncomplicated type 2 diabetes compared with controls , which are more profound in the presence of macroangiopathy . The link between hyperglycaemia and altered EPCs is strongly supported by studies in type 1 diabetes. Type 1 diabetes causes early EPC dysfunction that is quite similar to that observed in type 2 diabetes . Circulating CD34+KDR+ EPCs are reduced in number in young type 1 diabetic patients compared with controls, particularly in those with suboptimal glucose control , a longer diabetes duration, microangiopathy [51, 52] and initial signs/surrogates of macroangiopathy [53, 54]. The overall complication burden has been shown to have a negative impact on the levels of different progenitor cell populations  (Table 2, Fig. 1). Taking into account several clinical studies, it emerges that alterations in EPCs follow the natural history of atherosclerosis, from its development to later stage complications of the plaque [15, 56]. While macroangiopathy and incident CVD have consistently been associated with EPC reduction/dysfunction, there have been fewer studies on the effect of microangiopathy. Studies in patients with chronic renal failure receiving dialysis have shown markedly impaired EPCs, both in culture and in the circulation , but specific studies on diabetic nephropathy are rare. While Reinhard et al found no alteration in early EPC cultures obtained from type 1 diabetic patients with, compared with those without, nephropathy , Dessapt et al found lower levels of CD34+ and CD34+CD133+ cells in type 1 diabetic patients with, compared with those without, microalbuminuria , and Makino et al reported that CD34+ cell count is a predictor of albuminuria progression in type 2 diabetes . Based on these inconsistent data, the relationship between the presence/evolution of diabetic nephropathy and alterations in EPCs needs further clarification. As EPCs are endowed with (indirect) pro-angiogenic activity, they may have a Janus-faced role in the different stages of retinopathy. Several reports have shown increased circulating (CD34+KDR+) and cultured early EPCs in patients with advanced or proliferative retinopathy [52, 60, 61, 62, 63]. Such an excess of EPCs may contribute to pathological retinal angiogenesis, as shown in experimental models [64, 65], but longitudinal and clinical studies linking EPC levels to outcomes of advanced retinopathy are needed to support this hypothesis in human diabetes. Finally, it must be noted that virtually no clinical study has so far evaluated the relationship between EPCs and diabetic neuropathy. Therefore, this should be an area of intense investigation, especially in view of experimental studies showing that an EPC-targeted approach is a promising therapy for diabetic neuropathy [66, 67], a disabling condition with limited treatment options. In contrast to what was originally believed, several aspects of EPC biology can now be traced back to the plasticity of the monocyte–macrophage lineage [68, 69, 70]. Monocytes–macrophages can roughly be distinguished into classical proinflammatory M1 and alternative (or non-classical) M2, with different phenotypes and functions . Importantly, similar to myeloid EPCs, M2 monocytes–macrophages appear to be enriched in cells that indirectly support angiogenesis, [72, 73, 74]. The existence of angiogenic monocytes–macrophages, identified by expression of the angiopoietin receptor TIE2 (so-called TIE2-expressing macrophages), is well known from studies on cancer . Evidence that endothelial–macrophage crosstalk is relevant is supported by the finding that, in vitro, endothelial–macrophage interactions promote the development of the pro-angiogenic M2 phenotype . Multiple studies have detected alterations in the cellular phenotype during culture of early myeloid EPCs from diabetic patients. Specifically, Loomans et al reported that hyperglycaemia reduces the generation of BM-derived endothelial cells and favours the development of a proinflammatory myeloid phenotype . Interestingly, the effects of high glucose can be counteracted by statin supplementation in culture , which is known to shift the polarisation of early myeloid EPCs toward a more anti-inflammatory M2-like pro-angiogenic phenotype . Therefore, alterations in the polarisation status of monocytes–macrophages can shed light on the defects of vasculoprotective cells in diabetes. Previous studies based on gene expression analysis suggested proinflammatory alterations in the polarisation of monocytes–macrophages in obesity and diabetes [79, 80]. By studying specific cell populations, we have recently reported that type 2 diabetes is associated with a profound M1/M2 polarisation imbalance, characterised by depletion of anti-inflammatory M2, rather than an excess of proinflammatory M1 . Taking into account that the M2 population contains PACs, this can easily be viewed as part of the impaired damage control in diabetes. Importantly, derangements of M2 regulation were associated with BM dysfunction and microangiopathy (especially nephropathy) , representing a possible link between distant organ complications. The study of M1/M2 polarisation can also provide novel insights into cardiovascular risk associated with pre-diabetes, as we have shown that individuals with impaired fasting glucose/impaired glucose tolerance have an excess of proinflammatory M1 cells with a distinctive cholesterol handling capacity . Diabetes is typically characterised by accelerated vascular calcification, but the mechanisms and molecular pathways involved are largely unknown. We have found that expression of the bone-related markers osteocalcin (OC) and bone alkaline phosphatase (BAP) on CD34+ cells is markedly increased in type 2 diabetic patients with coronary artery disease, paralleled by a reduction of endothelial marker expression . In vitro, PACs from type 2 diabetic patients occasionally formed mineralised nodules, and the osteogenic programme could be recapitulated by treating cells with lipopolysaccharide , suggesting that this derangement occurs in the setting of inflammation. Theoretically, this endothelial-to-procalcific shift of circulating cell differentiation has the potential to deliver a calcifying stimulus to the vasculature via cells that are naturally instructed to enter the vessel wall thanks to their armamentarium of adhesion molecules and chemokine receptors [84, 85]. This hypothesis is confirmed by the observation that osteogenic EPCs are selectively retained in the coronary circulation of patients with coronary endothelial dysfunction . Excess OC-expressing procalcific EPCs are associated with diabetes , calcific aortic stenosis , coronary atherosclerosis , and history of myocardial infarction . Thus, pro-calcific polarisation represents the other side of the coin in EPC biology and is thought to turn cells that are normally vasculoprotective into a potential pathogenetic factor. However, it would be surprising if extensive vascular calcifications are attributable to a very rare (<0.01%) population of cells, such as OC-expressing EPCs. Therefore, efforts have been dedicated to identifying other populations of circulating calcifying cells in the framework of the so-called ‘bone–vascular axis’ . We found that OC+BAP+ monocytes, accounting for up to 3–4% of blood cells, show activation of the osteogenic master gene RUNX2, are able to calcify in vitro and in vivo and are found in increased numbers in the circulation, BM and atherosclerotic plaques of type 2 diabetic patients . These myeloid calcifying cells (MCCs) can also be isolated from the murine spleen and promote calcification of early and advanced atherosclerotic lesions via paracrine activity and overexpression of the macrophage activation marker allograft inflammatory factor (AIF)-1 . While extensively calcified lesions may be more stable than lipid-rich lesions, spotty neointimal calcifications are believed to increase the vulnerability of lesions and their probability of rupture [94, 95]. Therefore, MCCs could contribute to the excess risk of atherothrombotic events in diabetic patients. Interestingly, human MCCs also possess anti-angiogenic properties in vitro and in vivo, through both cell-intrinsic and paracrine activities, the latter mediated by high levels of expression of the anti-angiogenic molecule thrombospondin-1 . How the two functions of these cells integrate in a physiological model is unclear, but it can be speculated that induction of calcification with simultaneous inhibition of angiogenesis is a late attempt to confine a chronic inflammatory stimulus, be it a foreign body or cholesterol crystals. The discovery of this osteogenic and anti-angiogenic monocyte subpopulation has clear implications for the development of diabetic macroangiopathy, which is in fact characterised by excess calcification and impaired collateralisation [97, 98]. As outlined above for MCCs, it is emerging that diabetes not only reduces the number of vasculoprotective cells, but also promotes the generation of BM-derived cells that are detrimental to cardiovascular homeostasis. It also promotes the differentiation of BM progenitor cells toward the smooth muscle phenotype . Outgrowth of smooth muscle progenitor cells from PBMCs in diabetic patients does not appear to be balanced by the outgrowth of CACs , implying a differentiation drift towards smooth muscle at the expense of the endothelial phenotype. In the same study, however, the level of putative CD14+CD105+ smooth muscle progenitors was increased in non-diabetic patients with peripheral arterial disease, but was not associated with diabetes . Although putative smooth muscle progenitor cells have been isolated from peripheral blood and BM , whether BM-derived cells contribute to smooth muscle hyperplasia in atherosclerotic plaques is still debated. Fledderus et al demonstrated that the accelerated atherosclerosis in diabetic Apoe-null mice is characterised by an excess of BM-derived cells with a smooth muscle-like phenotype in the plaques, compared with non-diabetic Apoe-null control mice . However, in a murine model of allograft vasculopathy, which is primarily characterized by smooth muscle proliferation, Hagensen et al found no contribution of circulating cells , questioning the paradigm of BM-derived smooth muscle progenitors. Similarly, in young or old Apoe-null mice the contribution of BM-derived cells appeared to be very small or negligible [102, 103, 104]. Such controversy is probably related to methodological issues inherent to the experimental model used, because apolipoprotein E (ApoE) itself has been shown to regulate BM-stem progenitor cell trafficking (critically discussed in ). In any case, whether the presence of BM-derived smooth muscle cells in the diseased vasculature is a pathogenic phenomenon or a reparative attempt remains to be elucidated. This scenario is further complicated by the observation that BM-derived EPCs can assume a smooth muscle-like phenotype in the vasculature in response to local stimuli, such as TGF-β [105, 106, 107]. The potential role of smooth muscle progenitors is not limited to macroangiopathy, as differentiation of cells with a smooth muscle-like phenotype may have negative implications for the development and progression of microangiopathy, especially nephropathy. Nguyen et al reported that a culture protocol similar to those optimised to yield early EPCs generates an excess of myofibroblasts in type 1 diabetic patients compared with controls . These cells can be expected to deliver pro-fibrogenic signals to the diabetic kidney and facilitate glomerulosclerosis . The molecular mechanisms of progenitor cell alterations in diabetes and its complications are complex and highly diversified, especially in relation to the wide heterogeneity of culture protocols. A review of such molecular pathways can be found elsewhere  and goes beyond the scope of the present manuscript. However, it is worth mentioning that investigations into the causes of the reduced number of CD34+ cells and EPCs in diabetes recently led to the discovery that diabetes strongly affects BM structure and function . Diabetic rats show an inappropriately low mobilisation of BM stem cells in response to tissue ischaemia and granulocyte colony-stimulating factor (G-CSF) . A reduced response to G-CSF-induced mobilisation in type 1 and type 2 diabetes models has been confirmed in mice . Diabetic patients are also unresponsive to the effects of G-CSF, which fails to mobilise CD34+ cells and EPCs [114, 115]. This is likely to be due to the profound remodelling induced by diabetes in the BM microenvironment. In fact, both in mice  and in humans  the diabetic BM is characterised by microangiopathy and alterations of the stem cell niche. These very recent data not only provide a mechanistic explanation for the impaired vascular repair by BM-derived cells, but also identify the BM as a hitherto overlooked site of diabetic microangiopathy, with important implications for the clustering among distant end-organ complications. Interestingly, the diabetic BM shows microangiopathic features that are quite similar to those typical of diabetic retinopathy, such as increased permeability . Other features of the diabetic BM are summarised in the text box below. Therapeutic strategies aimed at restoring the BM architecture and boost its endogenous regenerative cells represent attractive targets to slow down the progression of diabetic complications. • In mice, type 1 diabetes induces microvascular rarefaction, increased permeability, alterations of the niche, and depletion of stem cells [116, 118]. • In mice, type 1 diabetes alters BM niche function, gene expression and cytokine production [113, 122, 123, 124]. 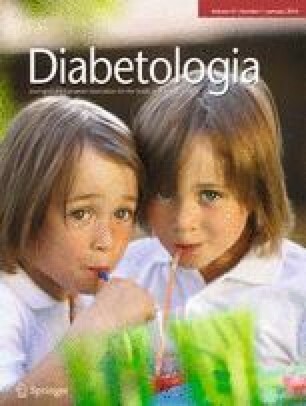 • In rats, induction of mobilisation of stem cells from the BM to peripheral blood by ischaemia [112, 125] and G-CSF [113, 124] is impaired in type 1 diabetes. • In rats, type 2 diabetes is associated with autonomic neuropathy in the BM, which affects release of stem cells . • In humans, type 2 diabetes causes a reduction of haematopoietic tissue, fat deposition, and microvascular rarefaction, especially when associated with vascular disease . • In humans, diabetes impairs the mobilisation of stem/progenitor cells after G-CSF [112, 114] and myocardial infarction . Although the field of vascular progenitor cell investigation has significantly evolved during the last 10 years, our knowledge of the complexity of the biology and function of these cells is still incomplete. Since their identification as intelligent bricks of the vessel wall, BM-derived E(P)Cs have been redefined as clever coadjuvants of vascular homeostasis, antagonised by harmful cellular by-products, such as MCCs and smooth muscle progenitors. It is at present unclear whether alterations of circulating (progenitor) cells are merely associated with diabetes or are causatively related to chronic complications and, if so, which are involved. Although we know what the functions of EPCs are, there is a lack of compelling experimental evidence that EPC reductions/alterations cause chronic diabetic complications. Importantly, most pre-clinical studies using animal models have tried to reverse, treat or prevent features of diabetic complications by increasing, modulating or engineering autologous EPCs or by providing exogenous EPCs. Experiments trying to mimic human diabetes-associated EPC defects to evaluate their impact on vascular biology are often biased and difficult to interpret owing to the widespread effects of the underlying condition (e.g. streptozotocin treatment and hyperglycaemia). A targeted and specific approach for the evaluation of the micro-/macrovascular effects of selectively depleting EPCs from the bloodstream is needed to answer such a question, but this has yet to be devised. Meanwhile, studies on diabetes and its complications have moved from the simplistic analysis of circulating (progenitor) cell number and function to evaluating the regulation of stem/progenitor cell kinetics and exploring the BM microenvironment. While the appeal of therapies using autologous BM-derived cells is diminishing, a new scenario is emerging whereby complex interactions among the BM hematopoietic niche, circulating blood cells and the vasculature affect the pathobiology of diabetic complications . Thus, interest is shifting from the quantification and characterisation of definite cell populations to the study of the networks that govern circulating cells with vasculotropic properties. Within this framework, the next frontier is to pursue a therapy that endogenously re-educates BM-derived vasculoprotective cells and modulates the processes that orchestrate their niche and trafficking. Unexpectedly, this can be accomplished to some extent by studying the off-target effects of known therapies. For example, dipeptidyl peptidase 4 (DPP-4) inhibitors  and peroxisome proliferation activator receptor γ (PPAR-γ) agonists  have consistently shown the capacity to stimulate EPCs acting on molecular pathways that are altered in diabetic cells. Ideally, this could help to achieve a higher degree of therapeutic individualisation targeted to cellular alterations that are both biomarkers and pathogenic factors. Finally, there are several unresolved issues regarding circulating (progenitor) cells and diabetic complications; these are summarised in the text box below. Importantly, although several progenitor cell levels have been shown to be inversely predictive of advance outcomes, whether EPC stimulation per se is able to modify the natural history of complications or cardiovascular risk in diabetic patients is unknown. From a clinical perspective, this is one of the most relevant challenges that we need to take on. • Specific longitudinal studies on EPC/CD34+ cell levels and cardiovascular events in the diabetic population are missing. • The association between circulating EPCs, cultured CACs and ECFCs in relation to microalbuminuria in type 1 and type 2 diabetes is controversial. • Longitudinal studies on EPC levels and outcomes of retinopathy are missing. • The association between circulating and cultured (progenitor) cells and diabetic neuropathy is unexplored. • Whether therapeutically increasing EPCs/CACs improves long-term diabetes-related outcomes is completely unknown. • The relationships between bone marrow structure/function and diabetic micro- and macroangiopathy is an emerging area of investigation.